Resolved How do I have to configure the mega-dropdown menu like the demo? I have bought the profesional package with the mega-dropdown menu. I like the menu -VM category- as on the demo page of the mega-menu. It is a mulit-language site. But were can find the associations remark "To define associations, please make sure the item language is not set to 'All'." I have no link because it is on my localhost. It is Joomla 3.9 with virtuemart 3.4.2. (both the latest version). What is the exact difference between mod_linelabmenu and the VM Mega menu? In the past and for other websites I have used the mod_linelabmenu. Is there a change that I can have look how it is configured at demo site of mega-dropdown menu with guest/guest for example? I had download that template, installed it. Also the mega-down menu and install. But the menu which I now understand on position-7 is not the mega-dropdown menu but the joomla default menu. I have now the mega dropdown menu. Put it on cbox1. But it is not "white" and not horizontal. The past mega-dropdown menu I had to add the nav as class suffix. I have tried it but this make not any changes. Hi, If you click on the left top folder icon, you can load any of preset module skins. But what I not understand, I have bought the mega dropdown menu. Is this necessary because if I choose "Select Default Horizontal Menu", it seems to look the same aa mega-dropdown menu, am I right? I'm expecting that I have to download/install the Revolab theme. Install the mega dropdown menu and then configure the mega dropdown menu, like horizontal. The passt mod_linelab menu I had to add the class suffix I believe like 'nav', and than it works fine. But the menu is now integrated with the template, or...? I have tried with the "Default Horinzontal menu" skin and with the "Default Mega Menu" skin. I have made the module extensions "mod_menulinelab" and "VM Mega Menu" in active/disabled. These module which I bought are not necessary I think. I have a menu item "Webshop", menu item type "VM category layout". If I click on that menu-item, than the page with all the category's is shown. But than I'm try to get the bahavior of the demo, like the menu item "VM category", or "virtuemart". 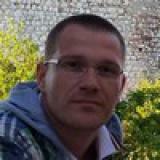 I have put the module "top menu" at the position "cbox1". At my template builder, if I move with my mouse over the menu I see under the menu item "shop" Category 1 Category 2 etc. My question is: were does it go wrong? - Do I expecting something which is not correct? (In the passt I have used the "mod_menulinelab"! - Is my configuration of VM main -- subcategory's not correct? I hope that you can give me an answer or help me out this issue. Hi Nico, "Default Horizontal menu skin" is the default Joomla menu module. Please use mod_menulinelab_all.zip. or VirtueMart Extralarge Menu https://www.linelab.org/extensions/joomla-extensions/virtuemart-extralarge-menu-detail . If you want, we can send for free Extralarge Menu module for testing purpose. Please contact us directly at linelabox@linelabox.com. I have bought the mod_menulinelab_all.zip a few weeks ago and installed. 2. Is the result on my development environment with the mod_menulinebab active on position cboxq. The behavior is total different of what I see at the template builder. I have installed mod_menulinelab_all.zip but use the default configuration. The past mod_modlinelabmenu you had to fill in the prefix of the class 'nav'. But I haven't done it now, I don't know if something is needed. So what I not understand: what is left? What I'm doing wrong? Were do I make my mistake or what did I not read of the tutorials? Again, maybe it has nothing todo with it, but I'm developing a multi language site, I have chosen the general main-menu, not the specific language like nl-nl or de-de. How can we make progress? I don't know what I'm doing wrong? This evening I was thinking I must not add a menu skin because the css of the default menu skin is added. But this doesn't bring anything. I don't know what is going wrong. I hope that you can help me out. 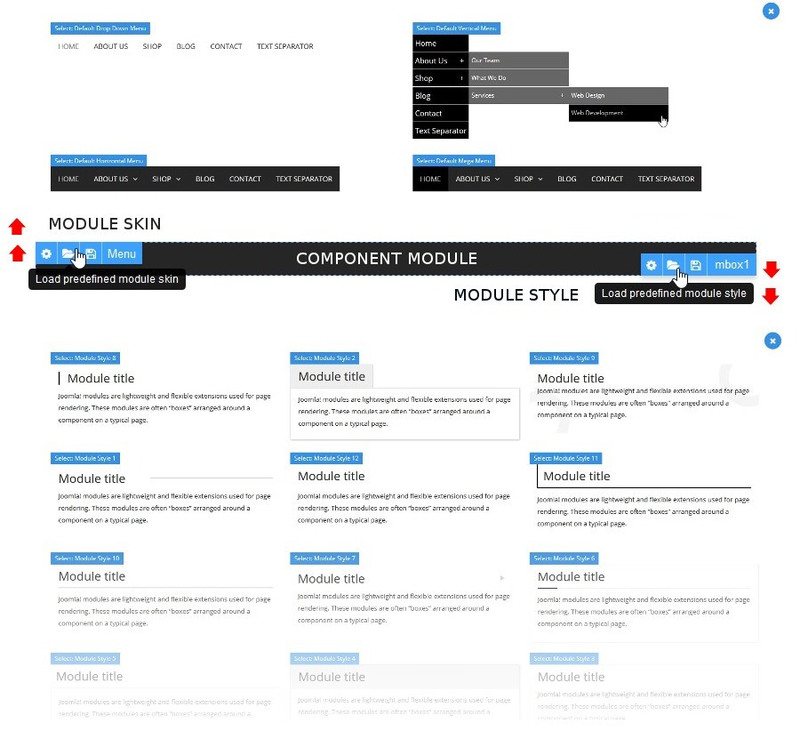 Oh I discovered now, that I can choose 12 predefined module styles. But must I choose a menu skin in combination predefined module style to get the mod_menulinelab working? How do I get this simply working? This driven me mad and insane. I do not understand what I need to do to get this simply working! Because of it's migration of Joomla 2.5/VM2 to a Joomla 3.9.1/VM3.4 I have installed virtuemart demo full installation. I have installed here the template and the mod_linelab as well. But the same problem! (see screenshot). One strange thing I can't delete the mod_linelab module with joomla --> manage menu item. I thought that I could always uninstall components/plugins/modules. What I also have done is updating the website dogwatch on my localhost. I have used the mod_linelab menu as well (2015). Here with this template/mod_linelab menu is correct working. For me it seems a problem between the template and the mod_linelab menu. But how can we solve this this weekend or before this weekend.